Stacks 10 high - The higher the drawer system stacks, the more space, time and money you save. Steel framework interlocks vertically and horizontally to withstand the heaviest day-to-day usage. Our strongest system is also the easiest to assemble. 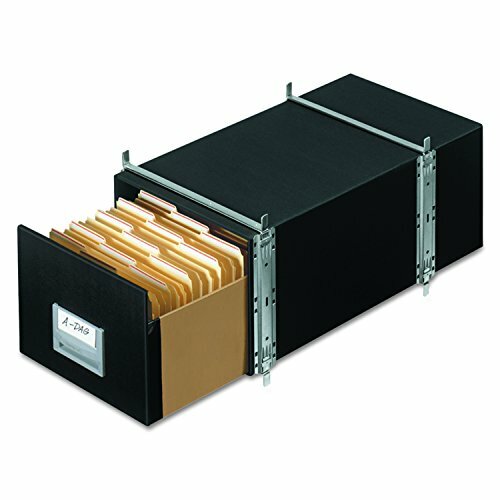 Drawers snap together with poly-lock technology and are reinforced with steel wire. Steel frame and reinforced drawers ensure full drawers open and close smoothly. Factory installed, high-impact drawer handle with index card holder for fast file retrieval (index cards included).